Kathryn Franks is currently a fifth year medical student from James Cook University on rotation at the Mackay Base Hospital. She has a passion for public health and paediatric medicine, and is soon to commence a research project on social media and the provision of health care information during pregnancy. She hopes to train as a paediatric oncologist in the future. Introduction: The aim of this review is to emphasise the burden and transmission of nosocomial seasonal influenza, discuss the influenza vaccine and the need for annual influenza vaccination of all healthcare workers, discuss common attitudes and misconceptions regarding the influenza vaccine among healthcare workers and means to overcome these issues, and highlight the need for mandatory annual influenza vaccination of healthcare workers. Methods: A literature review was carried out; Medline, PubMed and The Cochrane Collaboration were searched for primary studies, reviews and opinion pieces pertaining to influenza transmission, the influenza vaccine, and common attitudes and misconceptions. Key words used included “influenza”, “vaccine”, “mandatory”, “healthcare worker”, “transmission” and “prevention”. Results: Seasonal influenza is a serious disease that is associated with considerable morbidity and mortality and contributes an enormous economic burden to society. Healthcare workers may potentially act as vectors for nosocomial transmission of seasonal influenza. This risk to patients can be reduced by safe, effective annual influenza vaccination of healthcare workers and has been specifically shown to significantly reduce morbidity and mortality. However, traditional strategies to improve uptake consistently fail, with only 35 to 40% of healthcare workers vaccinated annually. Mandatory influenza vaccination programs with medical and religious exemptions have successfully increased annual influenza vaccination rates of healthcare workers to >98%. Exemption requests often reflect misconceptions about the vaccine and influenza, and reflect the importance of continuous education programs and the need for a better understanding of the reasons for compliance with influenza vaccination. Conclusion: Mandatory annual influenza vaccination of healthcare workers is ethically justified and, if implemented appropriately, will be acceptable. Traditional strategies to improve uptake are minimally effective, expensive and inadequate to protect patient safety. Therefore, low voluntary influenza vaccination rates of healthcare workers leave only one option to protect the public: mandatory annual influenza vaccination of healthcare workers. These facts suggest that mandatory annual influenza vaccination of healthcare workers is ethically justified and, if implemented appropriately, will be acceptable. For this to occur, a mandatory program needs leadership by senior clinicians and administrators; consultation with healthcare workers and professional organisations; appropriate education; free, easily accessible influenza vaccine and adequate resources to deliver the program efficiently. It further requires provision for exemptions on medical and religious grounds and appropriate sanctions for those who refuse annual influenza vaccination, for example, requirement to wear a mask during influenza season, or termination of employment. Healthcare workers accept a range of moral and other professional responsibilities, including a duty to protect patients in their care from unnecessary harm, to do good, to respect patient autonomy, and to treat all patients fairly. They also accept reasonable, but not unnecessary, occupational risk such as exposure to infectious diseases. Vaccination is often seen as something that people have a right to accept or refuse. However, freedom to choose also depends on the extent to which that choice affects others. In the healthcare settng, the autonomy of healthcare workers must be balanced against patients’ rights to protection from avoidable harm, and the moral obligation of healthcare workers not to put others at risk. Mandatory annual influenza vaccination of healthcare workers is consistent with the right the public have to expect that healthcare workers will take all necessary and reasonable precautions to keep them safe and minimise harm. Traditional strategies to improve uptake by healthcare workers are minimally effective, expensive, and inadequate to protect patient safety. Therefore, low voluntary influenza vaccination rates of healthcare workers leave only one option to protect the public: mandatory annual influenza vaccination of healthcare workers. Australian Bureau of Statistics. 3303.0 – Causes of death, Australia. 2007. World Health Organization. Fact sheet no. 211. Revised April 2009. Williams U, Finch G. Influenza specialist group – influenza fact sheet. Revised March2011. Maltezou H. Nosocomial influenza: new concepts and practice. Curr Opin Infect Dis.2008;21:337-43. Weber D, Rutala W, Schaff ner W. Lessons learned: protection of healthcare workers from infectious disease risks. Crit Care Med. 2010;38(8):306-14. Ling D, Menzies D. Occupation-related respiratory infections revisited. Infect Dis Clin North Am. 2010;24:655-80. Centre for Disease Control and Prevention. Influenza vaccination of healthcare personnel: recommendations of the healthcare infection control practices advisory committee and the advisory committee on immunization practices. MMWR Morb Mortal Wkly Rep. 2006;55:1-41. Beigel J. Influenza. Crit Care Med. 2008;36(9):2660-6. Horvath J. Review of the management of adverse effects associated with Panvax and Fluvax: fi nal report. In: Ageing DoHa, editor. 2011. p.1-58. McLennan S, Gillert G, Celi L. Healer, heal thyself: health care workers and the influenza vaccination. AJIC. 2008;36(1):1-4. Bishop J. 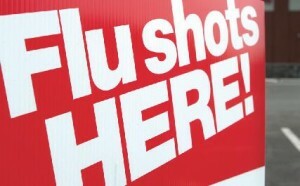 Seasonal influenza vaccination 2011. In: Ageing DoHa, editor. Canberra 2011. Schaff ner W, Cox N, Lundstrom T, Nichol K, Novick L, Siegel J. Improving influenza vaccination rates in health care workers: strategies to increase protection for workers and patients. In: NFID, editors. 2004. p.1-19. Goins W, Talbot H, Talbot T. Health care-acquired viral respiratory diseases. Infect Dis Clin North Am. 2011;25(1):227-44. Maroyka E, Andrawis M. Health care workers and influenza vaccination. AJHP. 2010;67(1):25. Gilbert GL, Kerridge I, Cheung P. Mandatory influenza immunisation of health-care workers. Laninf. 2010;10:3-4. Carlson A, Budd A, Perl T. Control of influenza in healthcare settings: early lessons from the 2009 pandemic. Curr Opin Infect Dis. 2010;23:293-9. Lee P. Prevention and control of influenza. 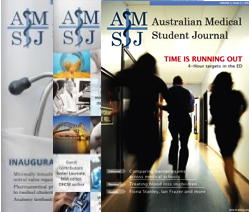 Southern Medical Journal. 2003;96(8):751-7. Ottenburg A, Wu J, Poland G, Jacobson R, Koenig B, Tilburt J. Vaccinating health care workers against influenza: the ethical and legal rationale for a mandate. AJPH. 2011;101(2). Keech M, Beardsworth P. The impact of influenza on working days lost: a review of the literature. TPJ. 2008;26(1):911-24. Chan SS-W. Does vaccinating ED health care workers against influenza reduce sickness absenteeism? AJEM. 2007;25:808-11. Osman A. Reasons for and barriers to influenza vaccination among healthcare workers in an Australian emergency department. AJAN. 2010;27(3):38-43. Takayanagi I, Cardoso M, Costa S, Araya M, Machado C. Attitudes of health care workers to influenza vaccination: why are they not vaccinated? AJIC. 2007;35(1):56-61. Leask J, Helms C, Chow M, Robbins SC, McIntyre P. Making influenza vaccination mandatory for health care workers: the views of NSW Health administrators and clinical leaders. New South Wales Public Health Bulletin. 2010;21(10):243-7. Lam P-P, Chambers L, MacDougall DP, McCarthy A. Seasonal influenza vaccination campaigns for health care personnel: systematic review. CMAJ. 2010;182(12):542-8. Centre for Disease Control and Prevention. Prevention and control of influenza, recommendation of the Advisory Committee on Immunization Practices (ACIP). MRR- 6MWR Recomm Rep. 2007;56(RR-6):1-54. Tucker S, Poland G, Jacobson R. Requiring influenza vaccination for health care workers: the case for mandatory vaccination with informed declination. AJN. 2008;108(2):32-4. Babcock H, Gemeinhart N, Jones M, Dunagan WC, Woeltje K. Mandatory influenza vaccination of health care workers: translating policy to practice. CID. 2010;50:259-64. Rakita R, Hagar B, Crome P, Lammert J. Mandatory influenza vaccination of healthcare workers: a 5-year study. ICHE. 2010;31(9):881-8.